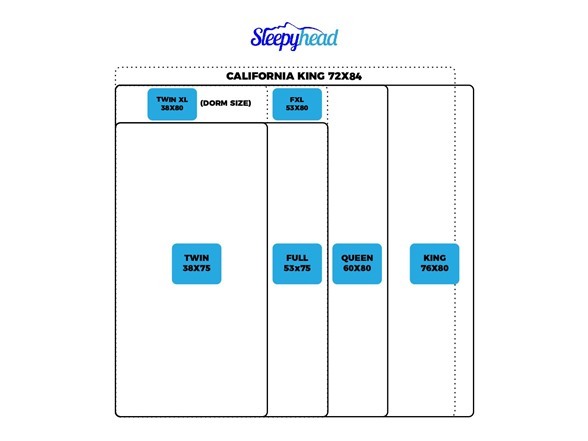 Style - Select - 8" 10"
Sleepyhead's three-layered mattress sleeps cool and is “not too soft, and not too hard.” Our foam regulates temperature while conforming to the body to ease pressure points, promote spinal alignment, and provide a more comfortable sleep. It is naturally antimicrobial and resistant to dust mites. It comes encased with a zippered washable, hypoallergenic fabric cover that is breathable and has a non-slip bottom. Made with the highest quality material – CertiPUR-US certified foam, which is tested to be free of any harmful toxins and materials. Ships compressed, rolled, and vacuum-sealed in a custom box, ready for sleep within a few hours. Please allow up to 72 hours for mattress to fully expand and for any potential odors to dissipate. We donate one mattress for every ten we sold to anti-poverty nonprofits, and we support our local communities through volunteering. 100% Memory Foam with the most comfort, support, temperature control, and durability. 1" Natural Latex Memory Foam: A healthy material that is very responsive and provides comfort, longevity and pressure relief. 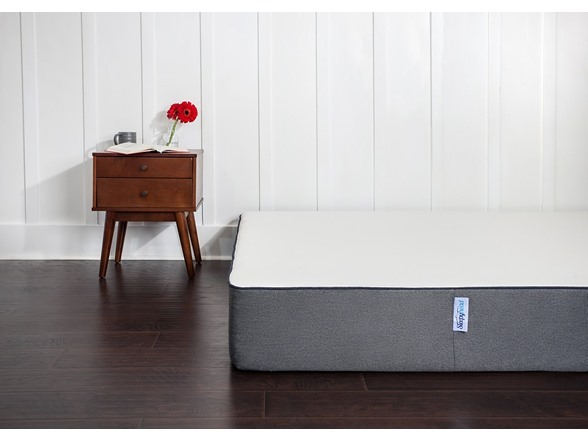 3" of Gel Memory Foam: A large transition layer of support that increases air circulation to keep you cool and equally distributed for extra support. 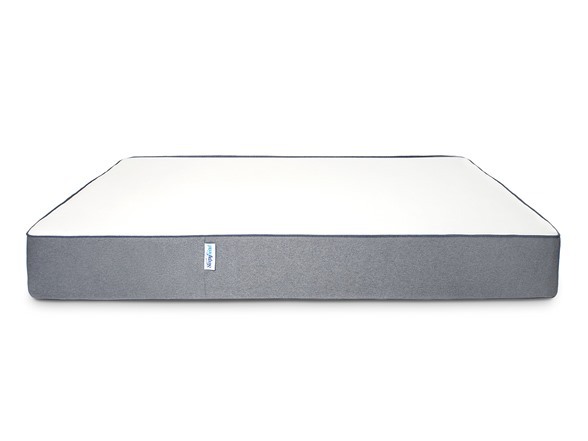 6" of High Density Base Foam: A high density layer that acts as a solid yet comfortable foundation for extra support and durability.